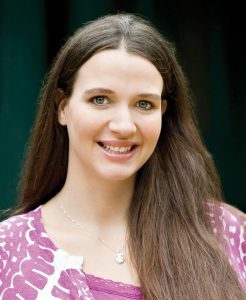 Aliza is the Founder and Director of International Doula Institute. She began the development of this program after many years as the director of Main Line Doulas, a unique doula practice working with only the most elite doulas located just outside of Philadelphia, Pennsylvania. International Doula Institute was created out of a need to train doulas to practice at the very highest level. Aliza was not satisfied with the status quo, and it’s her goal to raise the bar for the next generation of competent, caring doula care in the United States, Europe and beyond through the trainings of International Doula Institute. Aliza was the head of curriculum development for four online schools before founding IDI. Aliza brings her vast experience working with clients as a doula in the field and very unique experience managing a large doula team that provides thousands of hours of care monthly, along with her experience in curriculum development. It is truly her passion to help those who want to become a doula. These three very specific sets of skills have come together to bring you the International Doula Institute. 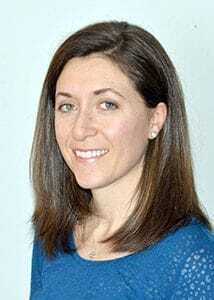 Meghan Massaro, RD, LDN is a registered dietitian with a Bachelor’s Degree in Nutrition Sciences from West Chester University and completed a dietetic internship at Immaculata University. Meghan has been a Clinical Dietitian at The Chester County Hospital since 2011, working as a part of the interdisciplinary team to provide care for patients ranging from premature infants to the elderly. She is a mom of four boys, all of whom were born at The Birth Center at Bryn Mawr. In her spare time, Meghan loves to stay fit and exercise with her children. Glenn S. Kaplan, MD is the Chief of Neonatology at Main Line Health Hospitals (Bryn Mawr, Paoli, Lankenau and Riddle Hospitals). He attended medical school at Temple University School of Medicine and did his internship, residency and fellowship at St. Christophers. He joined the medical staff at Main Line Health in 1983. In 2000, he became a member of the medical staff at A.I DuPont Hospital for Children. Dr. Kaplan was awarded one of the “Top Doctors” in 2014. 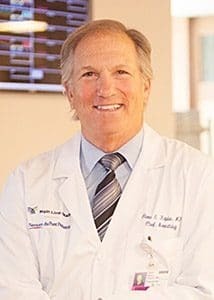 He is the chairman of the Credentials Committee at Bryn Mawr Hospital, Supervisor of Neonatal Nurse Practitioners at Main Line Health and the Medical Director for the Parents Advisory Network, Main Line Health. He is also a member of Philadelphia Perinatal Society. He has been married to his wife Jamie, for 41 years, has twins, Stephanie and Eric, two grandchildren, Eleanor and Tucker and two golden retrievers, Cody and Shelby. He loves photography, travel, cooking, gardening, golf, but most importantly, spending time with his grandchildren. Dr. Carly Goldberg is a doctoral trained licensed clinical social worker and psychotherapist. She specializes in the psychological development and emotional wellness of women. 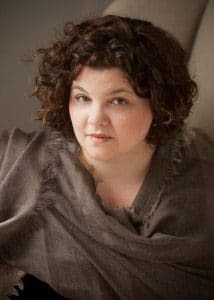 Carly holds a master’s degree in social work from New York University’s Silver School of Social Work and a doctorate in clinical social work from the University of Pennsylvania’s School of Social Policy and Practice. She is the founder of Therapy for Women, Women Centered and Philadelphia Maternal Mental Health Collective. 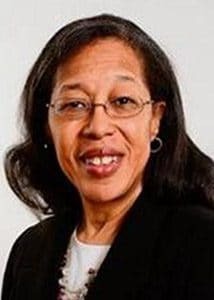 In addition to her clinical work, she is an adjunct lecturer in the School of Social Policy and Practice at the University of Pennsylvania’s MSW program and offers workshops and trainings to the professional mental health community. Carly lives outside of Philadelphia, Pennsylvania with her husband and son Oren. Marsha Sims, owner of Sort-It-Out, Inc., runs a program that helps people get organized affordably, in just 15 minutes a day. She is the coauthor of four organizing books: “Organizing Your Day,” “Smart Office Organizing,” “5 Days to a Clutter-Free House,” and “10 Time Management Choices That Can Change Your Life.” She can be reached at: www.sortitout.net, marshasims1@gmail.com, and 305-467-8564.